US based scientists develop new software that enables your touchscreen smartphone to identify you by the way you tap and swipe on the screen. Cheng Bo and his colleagues at the Illinois Institute of Technology have developed a new smartphone software called Silent-Sense that can identify smartphone owners by the way they tap or swipe across the touchscreen. Cheng Bo said that Silent Sense uses the phone's built-in sensors to record the unique patterns of pressure, different fingertip sizes and duration and position of each user while interacting with their smartphone. SilentSense showed an accuracy of almost 99% in the tests. Machine learning algorithms turns this information into a signature that identifies the user and will lock out anyone whose usage patterns do not match. Users can further enhance the systems accuracy by using the smartphone's accelerometer and gyroscope to measure how much the screen moves when you are tapping it. 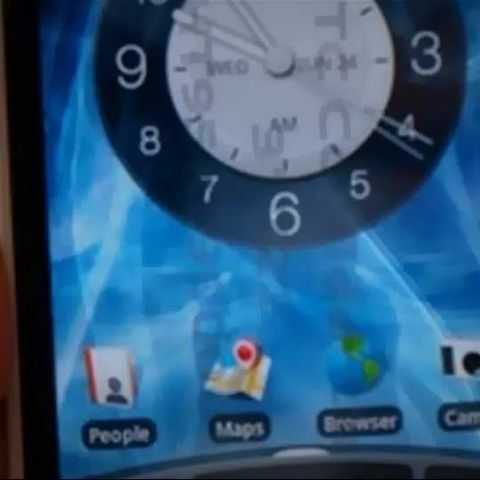 The test was performed on a group of 100 users who were told to use the smartphones touchscreen as they would normally. SilentSense software was able to identify the smartphone's owner with 99% accuracy within 10 taps. The researchers stated that the software stops checking the smartphone user's identity when apps and mobile games are being used. However, the software automatically switches on when email or SMS applications are being used. The New Scientist report quoted Bo as saying: "Different users, dependent on gender and age among other things, will have different habits in interacting." Apple has also recently launched Touch ID fingerprint recognition feature on the iPhone 5s. The Touch ID technology is very advanced but users still have to log into the device to access it. SilentSense enables the user to log in with just a touch of their fingers.